The Brownstone Executive Condo is Singapore's newest 99-year Leasehold EC development by Singapore's prestigious developer City Developments Ltd (CDL). 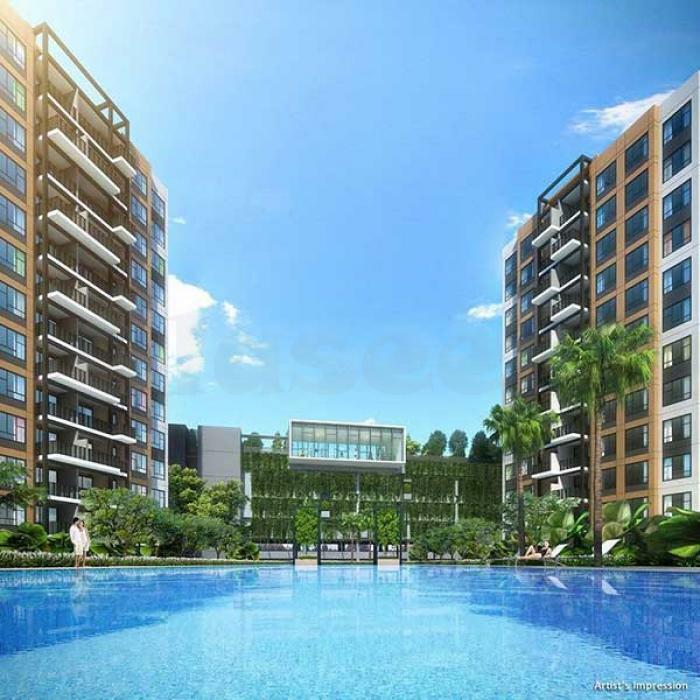 Having 8 blocks of 12-storey project comprises of 638 EC units located at Canberra Drive, District 27 of Singapore. The brown sandstone textured facade of The Brownstone Executive Condo combines to efficient and well-appointed interiors to provide its residents the best of function and form. Residents of this Executive Condo will never tired of enjoying various amenities like sky BBQ, guard house, splash pool, indoor gym, tennis court, club house and many more. Sited at the heart of the North Singapore, The Brownstone Executive Condo's residents are provided with the best of living near to anything and anywhere, like shopping malls such as Sun Plaza, Sembawang Shopping Centre, Chong Pang City and Sembawang Mart. There are also numerous educational institutions that are located in close proximity to The Brownstone Executive Condo, which include Sembawang Primary School, Ahmad Ibrahim Secondary School, Yishun Junior College, Wellington Primary School, Northland Secondary School and Canberra Secondary School. The Brownstone Executive Condo is a short walk away to the upcoming Canberra MRT Station, it is also near to Yishun MRT and Sembawang MRT station which allow comfortable access to prime spots of Singapore. It is an Executive Condo strategically sited where Tampines Expressway (TPE), Seletar Expressway (SLE) and Bukit Timah Expressway (BKE) are well linked. View http://www.the-brownstone.biz/ for more information or speak to the marketing group for issues.